The number of places is limited. Reserve your spot now and get ready for an educational adventure. Known to almost every drummer on “planet drum”. Amazing musician, educator and mentor. True world drum ambassador. 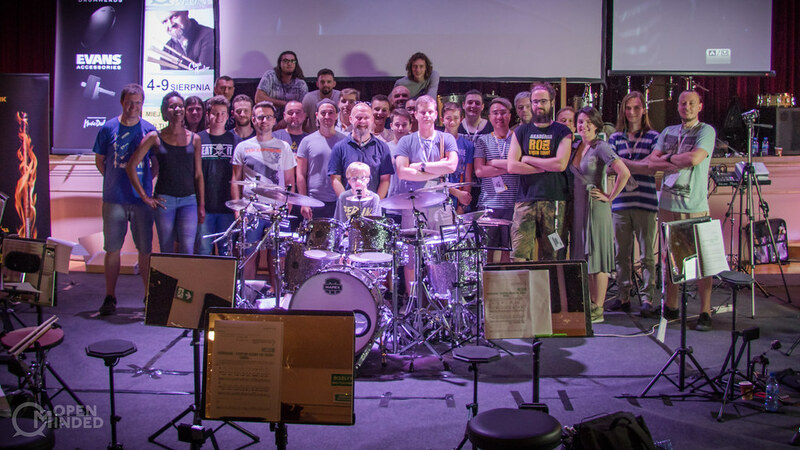 For many years Dom has been travelling, teaching and inspiring thousands of drummers around the globe. World-class drummer and educator, student of Jim Chapin and Dom Famularo, master in Moeller technique, coordination and open-handed playing. Author of some outstanding educational materials. Student of Claus Hessler, recipient of Berklee College of Music Scholarship, session musician who has travelled the world playing the drums. Organizer of Open Minded Drum Camp. we have prepared a unique educational program and class design for our new and returning students. WHAT IS CLAUS LIKE ACCORDING TO OUR PARTICIPANTS?